Profhilo is a revolutionary new non-surgical skin laxity treatment to address facial lines and wrinkle, but also skin laxity, improving tone, texture and hydration. As we age, our skin produces less collagen and elastin. Collagen and elastin are the building blocks which make up plumped up healthy skin. The treatment is aimed at patients who have visible signs of ageing skin. Profhilo uses advanced patented technologies to help remodel the skin. It is made of Hyaluronic acid (HA). It effectively stimulates the production of natural collagen and elastin to re-energise and renew skin. It stimulates four different types of collagen and elastin due to the slow release of hyaluronic acid, and it is this stimulation that results in significant improvement of tissue quality. Profhilo, at present, is the only product capable of stimulating the natural production of all four types of collagen and elastin, making it truly unique. It there promotes and stimulated by the natural production of the different collagen types within the skin. 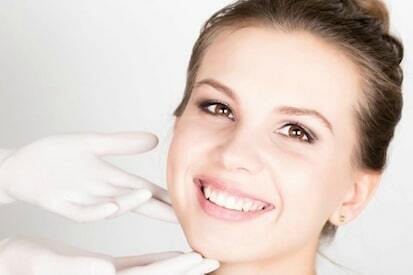 Profhilo® is an injectable treatment made from hyaluronic acid (HA). With age skin loses its elasticity and firmness. Profhilo® can be used on a number of areas, including the face, neck, decollete, arms, hands and knees, or any part of your body. Profhilo® improves skin tone, hydration. It also improves firmness of the skin, and reduces lines and creases in the skin. Hyaluronic acid (HA) is a naturally occurring substance within the body and responsible for hydrated looking skin. With age HA depletes over time, making skin look duller and dehydrated and also with fine lines and wrinkles forming. The role of Profhilo is to replace it by injecting it into the skin, which augments the tissues and gives a plump, smooth appearance to the complexion. Profhilo contains one of the highest concentrations of stabilised hyaluronic acid for any treatment on the market. Compared to dermal fillers, Profhilo enhances stem cell reproduction meaning your skin rejuvenates. It restores both skin and fat layers to their natural state, and stimulates the body to produce four collagen types. Unlike dermal fillers it does not provide volume. WHAT IS PROFHILO® MADE FROM? Prohilo is made from hyaluronic acid (HA) like dermal fillers. However rather than filling lines it is designed to improve skin tone, promote collagen and elastin growth to reduce skin laxity. This makes Profhilo revolutionary for the treatment of dull and dehydrated skin. Usually 2 treatments are recommended (one month apart). You will notice a difference as soon as Profhilo is injected. However optimum results can take up to 2 weeks, where you will by invited for a review and follow-up. Profhilo generally last up to 6 months where you will experience increased firmness, elasticity and an overall improved quality of skin. At six month you will be invited for a further session to maintain the quality of your skin. Whilst there is no downtime, any strenuous activity should be avoided for at least 24hrs. Similarly gyms, saunas and steam rooms should be avoids for the initial 24hrs after treatment. You will be able to resume your daily activities but will need to adhere to some rules to reduce the risk of swelling and bruising following your treatment. You will be able to cover any bruises with concealing makeup 24 hours after treatment.